Royal Canadian Health Care Services Inc. Whether you have a terminal illness or a chronic condition that cannot be cured, our palliative care experts can help to improve the quality of your life as well as those around you. Serious illness can be very stressful not just for the sufferer but for his or her immediate family, which is why our services are aimed at addressing the issues that are faced by your loved ones as well as those you are currently trying to deal with by yourself. The caregivers who attend to your needs when you use our palliative care service are members of our team who specialize in this particular field, which means they are familiar with the specific type of problems that you may be facing during this difficult time in your life. While the root cause of your condition may be untreatable, the symptoms can almost certainly be treated and it is in this field that our carers excel. Working together as a team, our palliative caregivers will make sure that you are as comfortable as possible at all times and that your every need is taken care of promptly and efficiently. Stress Relief – One of the hardest things to deal with when you have an incurable illness is the feelings of stress that it provokes. Our carers are trained to help you deal with such feelings and to overcome them in order to enjoy a better quality of life. Our palliative care Toronto team can also help your family to cope with the stress they are experiencing. Physical Comfort – While you may be in pain due to your condition, such pain can often be controlled with medicine prescribed by your doctor and our caregivers can ensure that you are in a comfortable position throughout the day, and night, to avoid aggravating any painful areas of your body. Mental Health – Our carers are not mental health professionals but like any experienced caregivers, they are trained to recognize the symptoms of various conditions and will, of course, let you know if they believe there is any cause for concern. 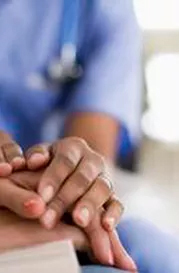 While it is no substitute for a thorough mental health check-up and not a primary focus of our palliative care in Toronto, the very presence of professional carers may have a calming influence that helps to avoid problems of this nature occurring in the first instance. Valuable Advice for Family Members – As your needs change, your family may not be sure how best to look after you. Our carers can provide them with the guidance and advice they need, enabling them to continue to look after you for as long as you desire. If you would like to find out more about our palliative care in Toronto, please call us on (905) 669 5453. We will be more than happy to answer any questions you may have and to arrange a home visit if you desire. Royal Canadian Health Care Services (RCHCS) provides premium care services in your home, in hospital, in your chosen residence, when and where you need us.